Phifertex outdoor fabrics now with microban. Strudy and functional yet built for comfort. Rich in texture, design and color. 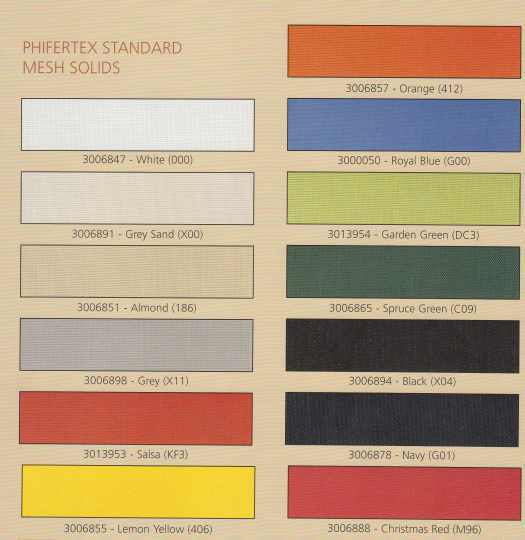 Phifertex outdoor fabrics offer everything you could wish for in a sling furniture fabric. PhiferTex Standard Mesh is a Special Order Item. Please call for availability.